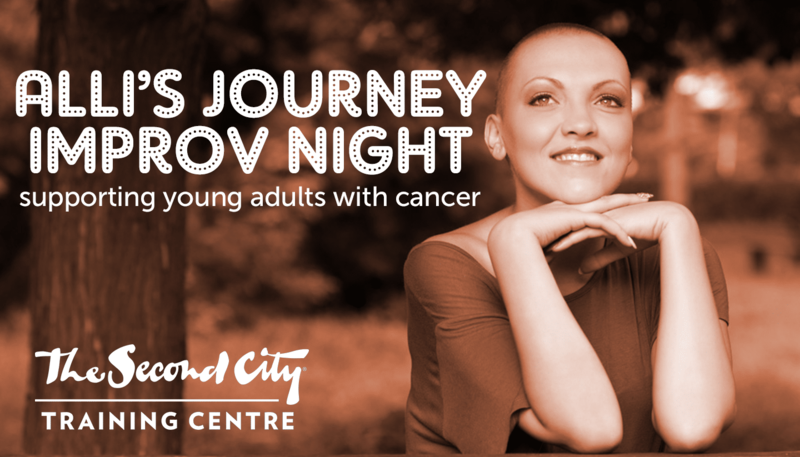 Alli’s Journey is hosting an Improv Night Fundraiser at Second City Toronto’s Training Centre! If you are just looking for the ticket link, look no further: purchase tickets online! Tickets can also be purchased by phone ((416) 343-0011) or at the box office (51 Mercer St). Thursday, June 8th at 7:00pm! Alli’s Journey is a charity whose mission is to support Toronto’s young adults with cancer population through the production of Comfort Bags. We work with Gilda’s Club and Princess Margaret Hospital to get these bags into the hands of the people who need them: young adults undergoing cancer treatment. Join us for a night of improv featuring members of Toronto’s improv community, and support a worthy cause with your LOLs. © 2017 Alli's Journey. Toronto-based charity supporting young adults with cancer.